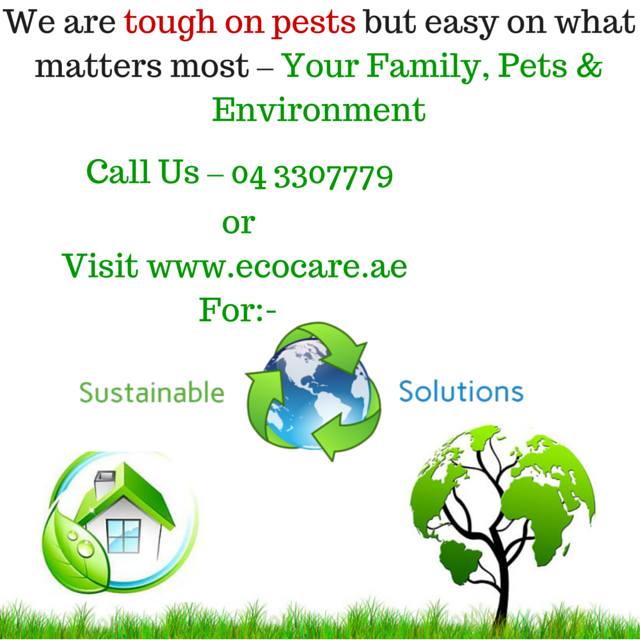 ECOCARE Cleaning & Pest Control Services is a UAE based consulting and Protection Service Company specialized in Cleaning and Integrated Pest Management services. We are Dubai & Abu Dhabi Municipality Certified Specialists for Pest Control and Water Tank Cleaning & Disinfection Services. Our Consultancy team includes Food Technologists to take care of the special needs of food industry & food outlets, Hospitality industry, Residential buildings and labor camps. With the most experienced and Trained staff in all aspects of water tank cleaning and pest control services.